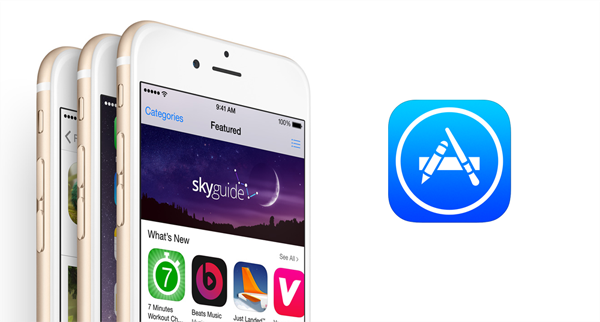 A short while ago, Apple made a change to its App Store refunds policy in compliance with EU regulation, which means that consumers now get 14 days to refund a purchase they’ve made, no questions asked. But given how easily this is open to abuse – no less because many apps, especially games, can be completed in far less time – and it’s no surprise that there have been concerns of some users steal apps at will. However, Apple has put paid to some of the concerns by rejigging the terms, and as of now, those refunding at a frequency that Apple deems to be "excessive" will be forced to waive their right to a refund. Precisely what Apple would classify as "excessive" is open to interpretation, but if you continue to buy apps and return them, there’s a good chance that you may be pulled up. Those accounts flagged as suspect will throw up a dialog box warning that the 14-day quick refund is not available, whenever said account decides to make its latest App Store purchase. The revised policy applies to all manner of iTunes Store fodder, not just apps and games, and so if you continue to seek a refund on books, music, movies and other such niceties available at Apple’s digital content portal, you could still end up with a red mark next to your file. 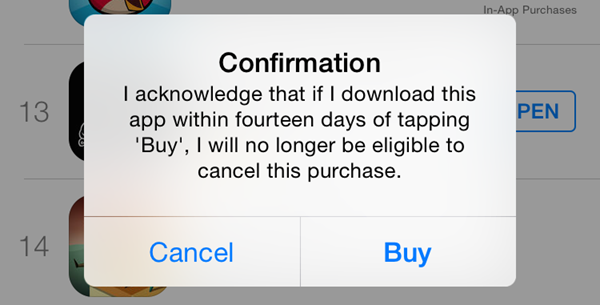 Even though the 14-day money back system is obligatory as part of EU regulations, it’s not something that Apple is completely bound by, and so long as a user is made explicitly aware that the refund is not possible – as seen in the below image – then the Cupertino is working well within the laws. The fact that, as was previously reported, users can easily return apps yet still continue to use them is a major flaw, and whilst this latest tweak will help to prevent folk from amassing a haul of free apps, it still won’t stop those who want to snap up a few freebies from doing so under the radar. Still, nothing in the world is completely fraud-proof, and with so many loyal developers reliant on the App Store to make a living, you feel that this new change could go a long way to keeping everybody happy. So far, still works for me! I just got refunded $999.99 for my purchase of Ignition and the funds are back in my bank and the app is still on my iPhone and iPad after restore! Cha-ching!